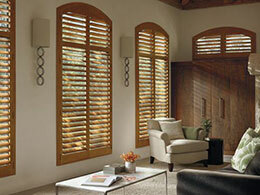 Shutters are a practical and stylish window treatment. 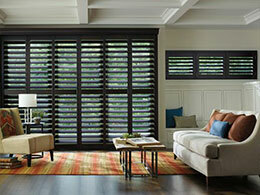 At Speedwell Design Center, we offer a full line of Hunter Douglas shutters to fit every room in your home. Our design professionals can help you find the perfect window treatment, and our installation crew can transform your home’s windows in no time. Shutters have a timeless, versatile look, but they also present other advantages. They provide excellent insulation and increase energy efficiency by keeping heat in during winter and out during warmer months. 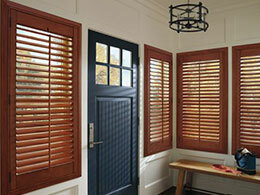 In addition to the lower energy bills, shutters can even improve the value of your home. Shutters are the only window treatment deemed a capital improvement by the IRS, and installing them can increase your equity. The durability of our Hunter Douglas shutters is unmatched, and these resilient window treatments are easy to clean and maintain. 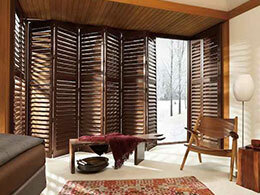 Your shutters will look great for years to come without warping or cracking. The solid construction of shutters also makes them ideal for open windows, as they manage the light entering your space without flapping in the breeze. When you visit our showroom, you will have a one-on-one with a design professional who will help you discover the best style and design for your home. 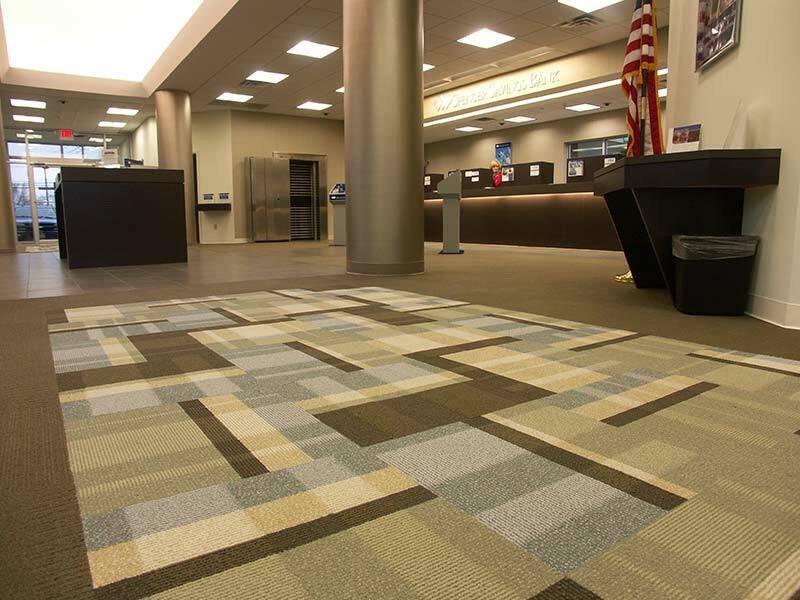 Here are a few examples of what you can find in our showroom. Heritance® series shutters are built with genuine hardwood using dovetail construction, one of the oldest and most trusted joinery methods. The plantation style slats showcase the natural beauty of their wood grain in a variety of stunning stains and finish textures. NewStyle™ shutters feature hybrid materials with the beauty of wood and the convenience and durability of synthetic construction at an affordable price. The Finetech® finish allows for easy dusting, so your shutters remain spotless with minimal effort. Palm Beach™ products are made of polysatin compound for ultimate UV resistance, guaranteed never to warp or fade despite direct sun, heat, and moisture. Despite the rugged construction, they look nearly identical to a perfectly painted wooden shutter. 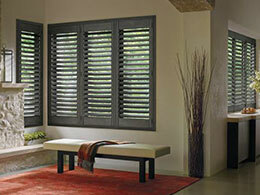 Our selection of shutters offers endless variety, and whatever style you choose is sure to make a statement. 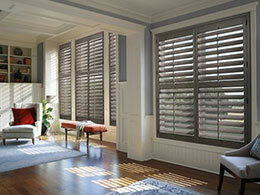 Visit the experts at Speedwell Design Center to outfit your home with gorgeous and functional custom shutters.